In 1880 a bicycle was ‘a wheel’ – cranks mounted directly on the front hub like a baby’s trike – the taller the wheel the bigger the gear. The development of roller-chain, running on sprockets of different sizes, made it possible to set a cycle’s gear regardless of the size of the driving wheel. To differentiate these newfangled machines they were called ‘safety bikes’. Safeties were unpopular with some who’d mastered ordinary, high bikes. Smaller wheels didn’t cope well with bumpy roads and, more importantly… they just looked wrong. In the Nineteenth Century people’s idea of a road was a strip of broken stones, a tyre an iron hoop around a wooden cartwheel. A suggestion to put bags of compressed-air around wheels was – to ordinary folk – laughable. 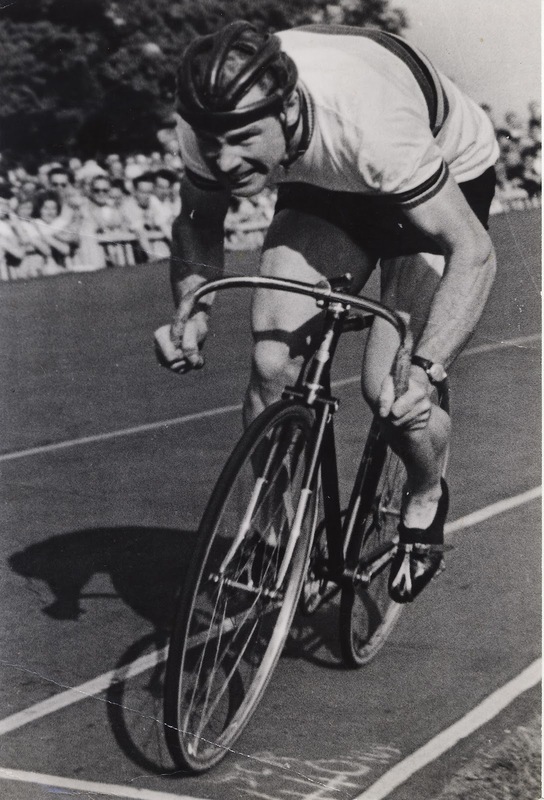 Cycle racing was an infant sport, dominated by forward thinking. Early-adopters proved that safety bikes, with pneumatic tyres, were faster. A significant pioneer was Charles Terront, who won the inaugural, 1891, Paris-Brest for Michelin, covering 1200 kilometres in 71 hours 22 minutes. People stopped laughing. The modern era had begun. At the 1992, Barcelona Olympics Chris Boardman won the 4 kilometre pursuit, his gold medal bike had a carbon-reinforced-plastic, monocoque frame. A classic bike made from tubular struts compares to a World War One biplane, Boardman’s looked like a Spitfire. You can find pictures of Miguel Indurain riding time-trials on a monocoque bike, but nowadays even super-champions are back on turbulence-generating stick frames. Why? Did bikes shaped like aero wings prove unreliable, slow, hard to control? You won’t see them because the Union Cycliste Internationale(UCI) banned them. They just looked wrong. The UCI is cycle-sport’s governing body. As the designer of the Barcelona bike – Mike Burrows – explains:- “Sports administrators are ex-competitors, international administrators are older ex-competitors. They don’t know anything about engineering. It’s not a problem for cycle-sport. Cycle-sport is fine, but restricting what can be used in races lets ordinary people think bikes are old-fashioned. Most people don’t expect to solve modern problems with Nineteenth Century machines.” Burrows believes the conservatism of the UCI is holding back public acceptance of bikes. The Boardman bike took advantage of new materials to make a shape that sliced through the air. The atmospheric-resistance produced by a bike is much less significant than the drag on a human body. Graeme Obree – Boardman’s great rival – changed his riding position. First folding his arms under his shoulders, then pushing them straight ahead in what become known as ‘the Superman position’. At a Science Museum reception, to celebrate the Barcelona bike’s induction as an exhibit, Boardman complained that he was going to have to do tests in the Superman position, with no possible, positive result. If it wasn’t faster that meant Obree was stronger. If it was, he’d have to learn to ride in the new posture. 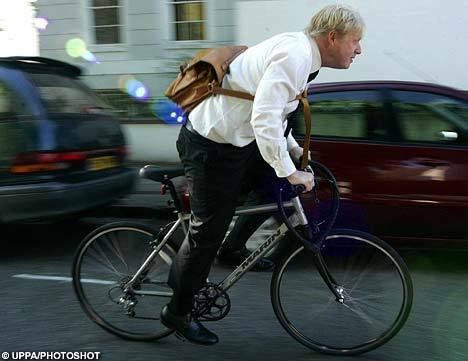 It turned out that Obree’s position was faster. In sport destroying the morale of your opponents is an objective. The UCI rescued Obree’s rivals. They banned ‘Superman’. Their excuse was safety, although how dangerous riding unpaced on a velodrome can be is an interesting question. You don’t win races by crashing so on a velodrome safety solves itself. The UCI has strict rules on the acceptable position for a bike rider. Faster designs, that take the rider through the air in a horizontal shape, are banned. Ironically low, faster, feet-first bikes are also more crashworthy, than classic, head-first ‘safety’ bikes. The classic bike is a brilliant device. It doesn’t need to be defended with conservative rules that – whatever the blazer’s excuses – are essentially aesthetic. Bike racing is more than a compelling athletic contest, it can also be a race between bikes, where the choice of mount is another sophistication. 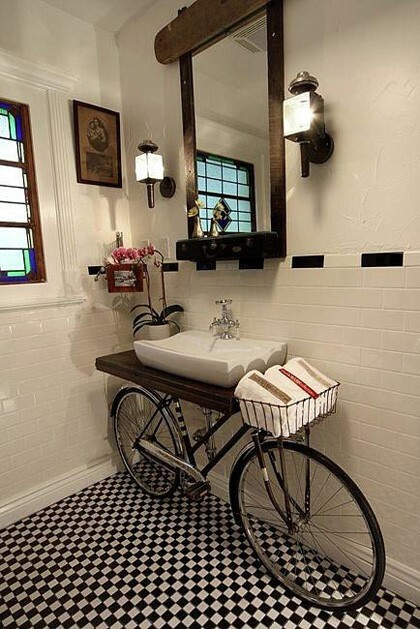 This can only widen its appeal and make bicycles more interesting to the velo-deficient majority. Bike racing is an industrial activity, rooted in modernism. It also has noble traditions, but that doesn’t mean it need be dominated by a retro idea of what a bicycle should look like. Bikes that win races look good. Fausto Coppi, Eddy Merkx are honourable role-models. And so is Charles Terront. This copy first appeared in The Ride Journal issue VI with a nice illustration and an embarrassing mistake. ‘Look Mum no Hands’, a cycling-themed cafe on Old Street. Once upon a time there were places to hang out, Bar Italia has good coffee – and showed live coverage of the Giro before satellite TV was everywhere – the Duke of York’s in the Clerkenwell Road, thick with couriers on a Friday evening. Friday night at ‘Look Mum no Hands’, a cycling-themed cafe on Old Street. Once upon a time there were places to hang out, Bar Italia has good coffee – and showed live coverage of the Giro before satellite TV was everywhere – the Duke of York’s in the Clerkenwell Road, thick with couriers on a Friday evening. Q. How many cycle-couriers does it take to change a light-bulb? A. None. They want you to do it. They want you to do it now. And can they have a discount, because they’re a courier? Back in the day there were places to hang out. Now there are cycle-themed cafes. LMNH is busy with people of all stripes. Truly we live in crazy times. It’s the launch of ‘The Ride Journal VI‘ a handsome, perfect-bound anthology of writing, illustration and photography. Even the sparse ads are easy on the eye and loaded with symbolism. Ever wondered why Brooks saddles are so costly? Check this. I’m disappointed. My 800 word contribution features an embarrassing mistake. The submitted copy described recumbent bikes as “crashworthy”, which has been misunderstood and rendered in print as “prone to crash”. Some cycles are harder to ride than others, the’re good reasons why disc wheels and tri-bars aren’t allowed in road-races. Crashworthiness is about the ability of a vehicle to leave its pilot unharmed in a wreck. A car with seat-belts, crumple-zones and an airbag is more crashworthy than one without. On a recumbent you’re usually closer to the ground than on a classic bike. Impact is to do with acceleration not speed; half the distance, equals one quarter the force. Crash a classic bike and you’re likely to land hard on your head, shoulders or arms. Crash a recumbent and you land gently on your arse. We all know individuals who’d be better off landing on their heads, but – in general – it’s better to absorb energy with your glutæus maximus than your skull. The brakes also work much better because you’re weight is loaded on the back wheel. Until you’ve been on a recumbent you’ve never really ridden a push-bike with brakes that actually work. On a recumbent with hydraulic-controlled discs you can out-brake anything. Don’t get me wrong, crash a recumbent at speed and you can give yourself extensive superficial injuries, but it’s usually a walk-away. It’s a good job recumbents are so safe because most of the people who ride them are idiots. It’s a truism that nobody (except the producers of El Dorado?) went bust by under-estimating the public, so I’m the mug for sending copy containing unexplained sub-cultural vocabulary; but whoever subbed the piece could have looked up ‘crashworthy’ before they mistranslated it into nonsense? Not to worry. I’m not Anne-Caroline Chausson, and my little essay doesn’t appear until page 159. In truth this kind of volume is more likely to be thumbed through and tossed on a coffee table then read carefully. Out of the window Critical Mass goes past. The presence of people on the blue Transport for London hire bikes make the ramshackle peloton look approachable and inclusive; a clear indication that ‘normal’ people can join in. The increasing cadre of long-board skaters blur the boundaries further. Lots of people already have a line on ‘cyclists’ – sheroes at the vanguard of peace, freedom and sustainability, or self-righteous, work-shy vermin, who think they own the friggin’ road. Personally I can’t see the point of wheels without punctures, and no-way am I tough enough to ride the streets on a vehicle with no seat and no brakes, but the skaters certainly add gaiety. Also great to see Professor Kayoss rolling by on his custom Linear. Standing in a bar full of assorted people for whom the little queen of the road is the default mode, watching a jolly, random club-run pass, soaking up anger and frustration and giving out LOVE as it goes. These are the golden years. Q. How many cycle mechanics does it take to change a light-bulb. A. One. They’re resourceful, self-reliant people; but… …if it’s a Shimano light-bulb? Maybe you should consider moving to a new house?